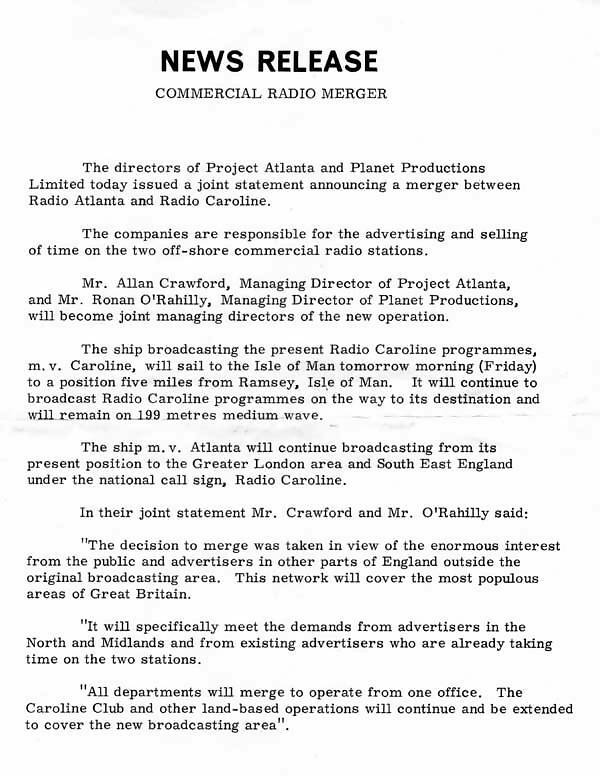 Many of of the offshore stations operated their own listeners' clubs. 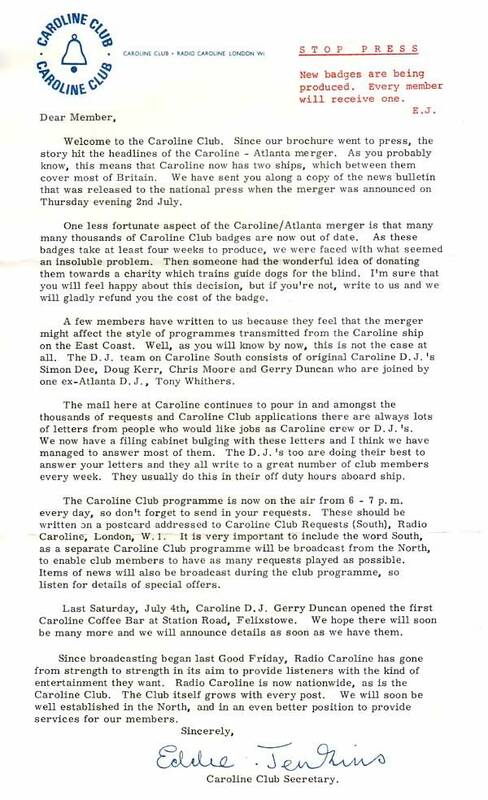 The first was The Caroline Club. 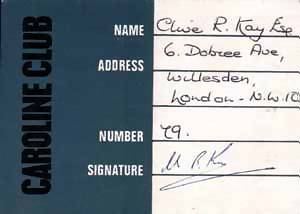 This page contains correspondence and memorabilia sent out to club members, some contributed by correspondent Clive Kay and some from The Pirate Radio Hall of Fame's own archive. The entire booklet can be seen here. 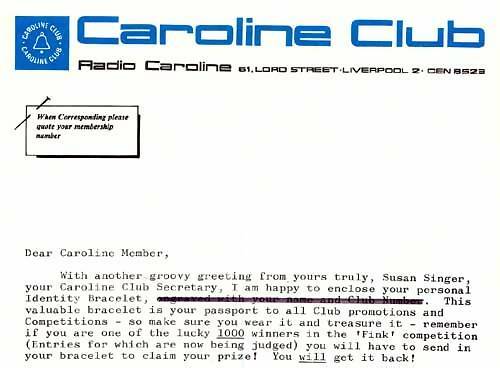 Were you in The Radio London Club? The 270 Set? 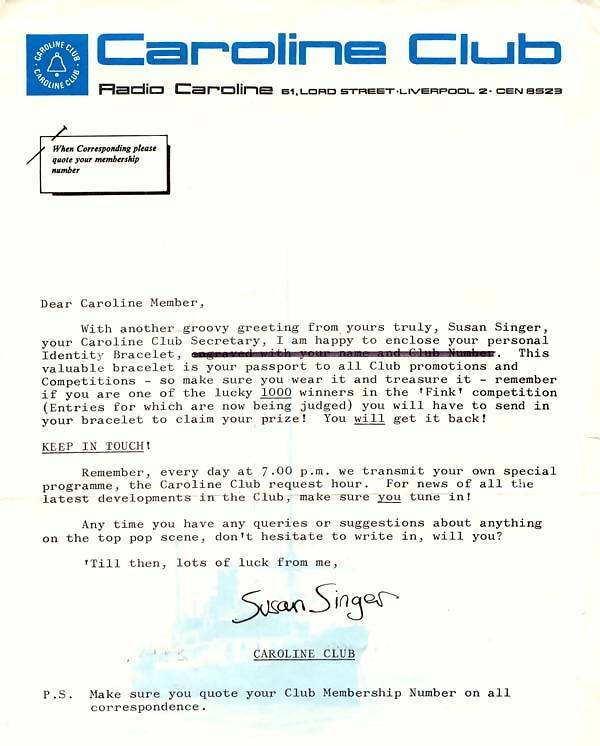 Have you still got any items of interest? If so, please get in touch. 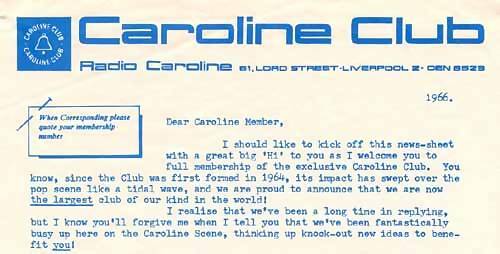 There are more Caroline Club items here. 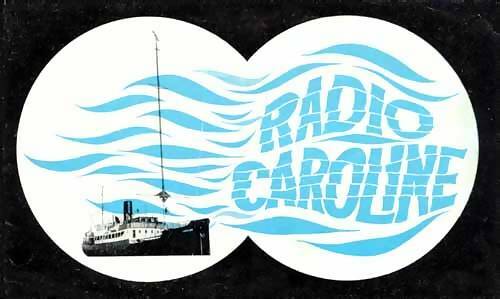 We have Radio City Club memorabilia here and here. 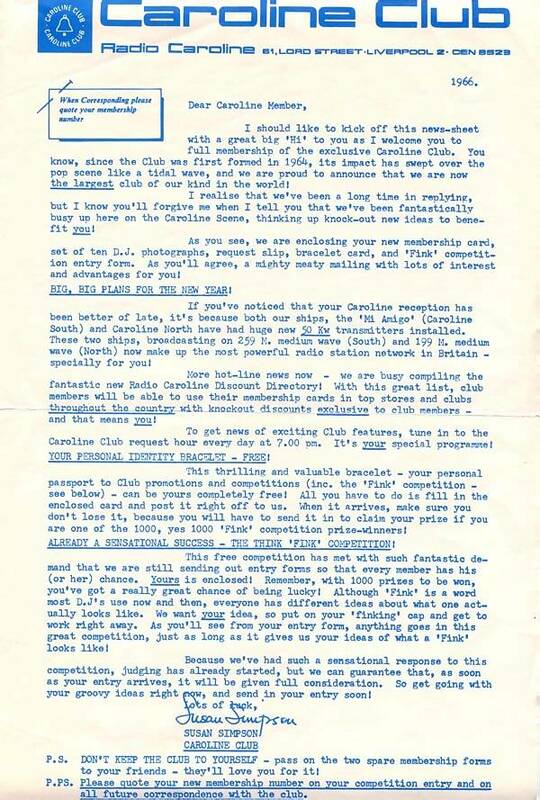 Some material from Radio Scotlan's Clan 242 is here. 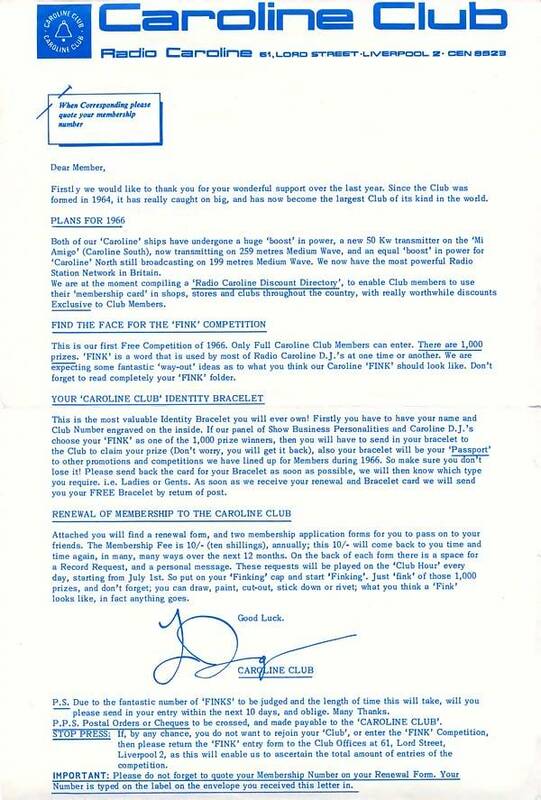 Return to the fans' memorabilia page.